It took almost a week to complete, but home favourite Oliver Speidel triumphed at the $10,600 buy-in Aussie Millions main event at the Crown Casino in Melbourne for what completed an incredible few weeks for the Aussie. 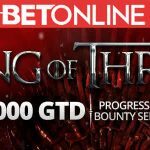 The poker pro outlasted 658 other players to leave with $1,647,158 – his biggest cash prize ever – and title, while second placed Ken Wong, of Hong Kong, picked up $1,029,474 for his runner-up spot. 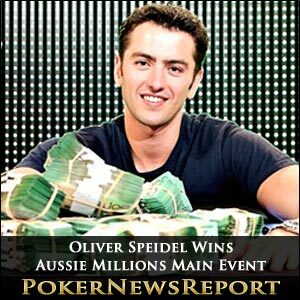 The Melbourne native’s previous biggest win arrived at last year’s Aussie Millions, when he left with $99,491 for winning the AUD$1,000 buy-in No-Limit Hold’em event, so this victory really is a massive leap forward for Speidel. That’s not all, though, as Speidel enjoyed an astonishing fortnight that also saw him take second in the AUD$1,000 buy-in No-Limit Hold’em Shootout for $25,479 and sixth spot in the AUD$1,500 buy-in No-Limit Hold’em Bounty tournament for $16,472. A second Aussie filled third place, with Perth’s Mile Krstanoski cashing for $627,979 while Sweden’s Mohamad Kowssarie – a high stakes poker specialist – exited in fourth for $416,937 and another home player, Patrick Healy, hit the rail in fifth for $308,842. The top 10 was completed by sixth-placed Hong Kong pro Yin Li for $236,779, Canadian duo Yann Dion (seventh for $175,011) and one-time World Series of Poker (WSOP) bracelet winner Daniel Idema (eighth for $128,684), Team PokerStars Pro Lee Nelson (ninth for $128,684), of New Zealand, and a fourth Aussie in Janis Lesinskis (10th for $102,947). 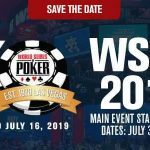 Only seven players returned for Day 6 of the main event, resulting in one of the shortest conclusions to any final table recently – just seven hours – as Speidel accounted for an incredible five of the six eliminations. Speidel enjoyed a fantastic final day, taking out his last three opponents to lift the title, secure a massive pay day and ensure that the crown stayed in Australia after he followed up fellow Melbourne pro David Gorr’s win last year with his own success. Having eliminated Krstanoski in third place, Speidel then faced Hong Kong’s Wong in a heads-up battle that would ultimately see the Aussie triumph. The head-to-head began with Speidel – who had started the day second in chips – holding more than a 3 to 1 chip lead on 15.2 million to his opponent’s 4,675,000, although Wong did take the opening few hands to close the gap a little. But then play slowed right down for a few more hands before a break arrived. That hiatus must have fired Wong up as, about quarter-of-an-hour later, the Chinese pro called all-in pre-flop while holding 9♣ 9♥ after Speidel had six-bet. Wong must have been more than satisfied to put his tournament life at stake with such a good starting hand, but would have been left disheartened to discover he was way behind the moment Speidel showed A♠ A♣. The 8♥ K♠ 10♠ flop changed nothing as Speidel saw glory approaching – and the turn and river of 4♣ and 7♥ meant the new champion’s pocket aces had held, which resulted in one of the most wonderful celebrations as the Aussie leapt up on to the table, laid down, gathered up handfuls of his newly-won cash and then proceeded to rub it over his body! The first elimination of the day arrived after a few hours’ play, when Quebec City’s Dion had been chopped down to the short stack so took the decision to re-raise all-in with his final 1.5 million-plus chips while holding 7♠ 7♥. Speidel, in early position, had been the original raiser and swiftly called to show his pocket Q♥ Q♦, while the blinds and Krstanoski, who had called Speidel’s initial 150,000 raise, folded. The Canadian stood up as a flop of 3♠ A♦ J♦ was dealt in preparation for his exit. 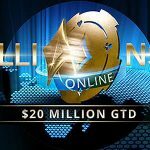 That elimination became even more certain when the turn brought the 2♣, while the 10♣ on the turn meant online poker pro Dion was out in seventh for $175,011. Sixth place and $236,779 went to Hong Kong’s Li – who had began the day as chip leader – after he found himself down in sixth place and below one million in chips so opted to go all-in with A♣ Q♦. Li, in the big blind, had three-bet all-in and was called by Gothenburg’s Kowssarie, who showed 3♦ 3♠ to be slightly ahead. The board showed K♠ 7♦ 2♠ 2♥ 9♦ to give Li no help and that left us with just five players remaining. Play continued to the next break without any further exits as Speidel increased his chip stack to more then seven million. But, once back from their rest, Speidel sent fellow Aussie Healy to the rail in fifth place for $308,842. Healy, under the gun, opened with a raise to 160,000 and Speidel, on the button, called – but not before he had stood up to take a look at his opponent’s stack. Then Healy bet 100,000 after a flop of 9♣ 8♣ 4♥, only for Speidel to raise that to 350,000. But Healy quickly shoved all-in for about 1.8 million and was called. Incredibly, Speidel’s 9♥ 8♥ had given him top two pair to leave Healy as the massive underdog with his A♠ K♦. 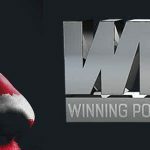 The 5♦ turn left Team Western Australia Poker League (WAPL) member Healy drawing dead, while the K♣ on the river officially confirmed his exit in fifth spot. With that latest success – and elimination – Speidel had moved on to 10,200,000 in chips as he began to dominate the final table. The eventual champion would only confirm his ascendancy by sending his final three opponents to the rail – and quickly, too. Perth’s Kowssarie was the first to go in fourth place for $416,937 when his A♠ 2♥ came up against Speidel’s K♥ K♦. Speidel, on the button, raised it up to 160,000, only for small blind Kowssarie to go all-in. However, the latter must have been concerned for his tournament life when his opponent snap-called when the action came his way again. So it turned out as Speidel’s pocket kings were immediately rewarded on a flop of K♣ 8♠ 5♣ to give him trips. The 9♥ turn meant Kowssarie was drawing dead before the deal set down the 8♥ on the river. That left us with Speidel – who had moved to 14,400,000 in chips – Wong, with 4,200,000, and Krstanoski on 1,200,000. Krstanoski didn’t last long, however, as he was gone within 20 minutes of the final table becoming three-handed as Speidel claimed his fourth victim of the day. Small blind Speidel raised all-in with 9♠ 8♣ to get a call from big blind Krstanoski, who tabled K♥ 8♥. Krstanoski was in a dominating before the flop, but that all changed when the dealer laid down A♥ 9♣ 6♦ to give Speidel a pair of nines. However, Krstanoski secured a heart flush draw when the 4♥ came on the turn, only for his hopes to be crushed when the 7♣ arrived as the river card. A 40-minute break arrived not long after with Speidel on 15,200,000 chips and Wong struggling to stay in touch with 4,675,000 – and we all know how the last hand played out following their return to action.